A woman in a bathrobe with very messy hair and bags under her eyes looks in the bathroom mirror and sticks her tongue out in dissatisfaction. Too blah to wash your hair? 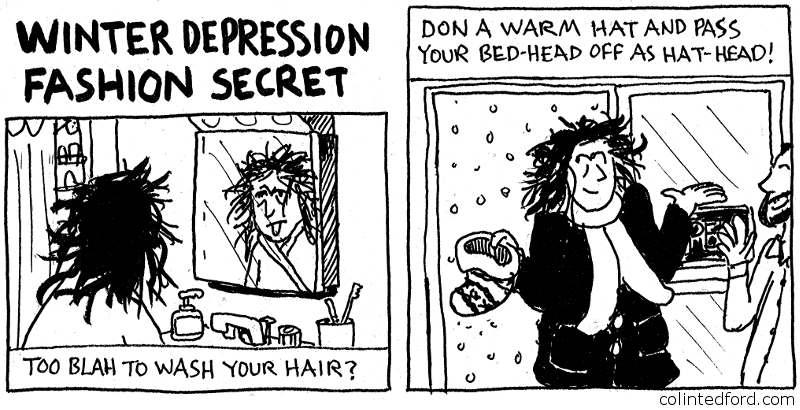 Don a warm hat and pass your bed-head off as hat-head! The same woman enters a cafe from a snowy outside, removing a winter hat and smiling and rolling her eyes wryly at her hair as if at to say, “Winter hats, what are you gonna do?” An attractive man smiles and waves at her. 1. An white-heared, bearded man in vest and glasses uses a wrench to tighten the metal straps around another man’s top hat while an assistant stands by with spare parts. 2. On an airfield, a scruffy-looking man in a jumpsuit points to the ear-flap that detached from his winter hat, while a 1950s-style man in suit & glasses uses a pocket calculator. 3. A woman in a lab coat & glasses with hair pulled into a bun holds a clipboard while looking at a machine; the machine has a large clear class tube full of liquid. A knitted hat with pom-pom floats in the liquid as bubbles percolate. 4. A man and woman in labcoat stand deep in thought, watching a machine. The machine wears a brimmed hat with bow and feather on it’s head-shaped extension and is (by design) vibrating intensely. 5. A man in a windbreaker and cap with small brim runs down a test lane, smiling until the cap suddenly explodes! As he rolls on the ground, a crew member sprays a fire extinguisher at his head while a second crew member runs up with a bucket of water. A scientist dashes over, trailing papers from his clipboard. 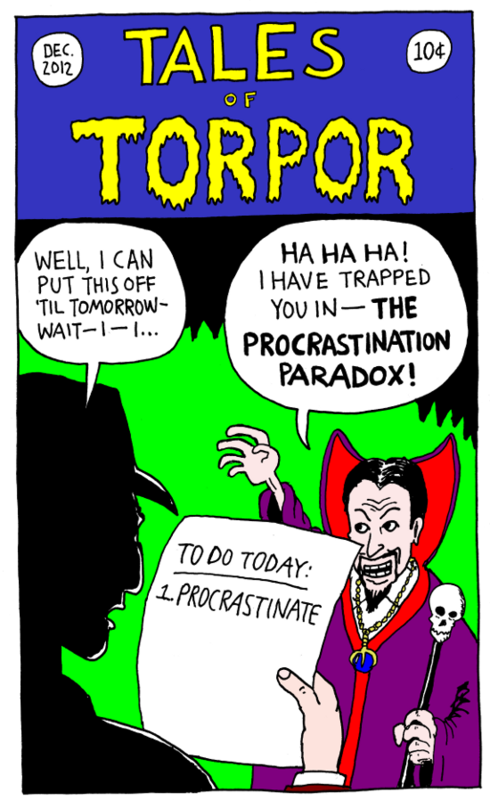 Image: a fifties-style horror comic cover (title: Tales of Torpor). Whoa, color! I made this for a Christmas gift shirt. Setting: Headville – a land where everyone is a head on little legs. A Headville woman with black hair walks through the park to an old-fashioned well, climbs into it, and lowers herself in the bucket. Eventually she reaches a cavern with a tunnel or alcove in one side. She enters it, finding a glass of water on a bump of rock. She grips the rim with her lips, flips it back to drink it, sets it back down, and exits the alcove, looking satisfied. She gets back in the bucket and ascends. “Elbow Drop!” A macaroni elbow does an elbow drop on a prone ziti. “Shellshock!” A pasta shell does a Swinging Reverse STO on a fettuccine. “Butterfly Suplex!” A bowtie – aka butterfly – pasta does a butterfly suplex on a spiral pasta. “Be there – for gnocchi-down drag out action!” A ravioli wearing a wrestling belt yells into a microphone while behind him two spaghetti drag an unconscious gnocchi from the ring. This comic is part of the Comics Rehab Ripoff, in which I and some cohorts post at least 4 panels every 4 days to encourage our comics groove. Follow along to possibly see some of my comics before they appear here, or better still to see the good things my companions are posting. Want to join in? Drop us a line with your email address or email me at colin@colintedford.com! Image: a dervish whirling around holding trays of snacks. 2. “ECTHOR!” Wizard raises arms and sparkly fire erupts on the altar. 3. A sandwich has appeared on the altar. Wizard smiles & licks lips. I bet he’d think splitting atoms to boil water is a great idea. 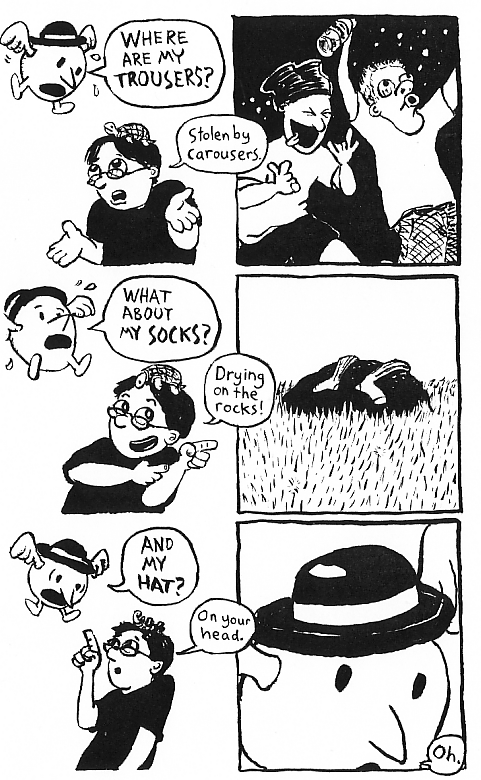 This strip appears in Square Dance #4 . The above chestnut, along with two other strips by yours truly, appear in the newly-minted North County Perp #2, a project of none other than Howard Cruse! 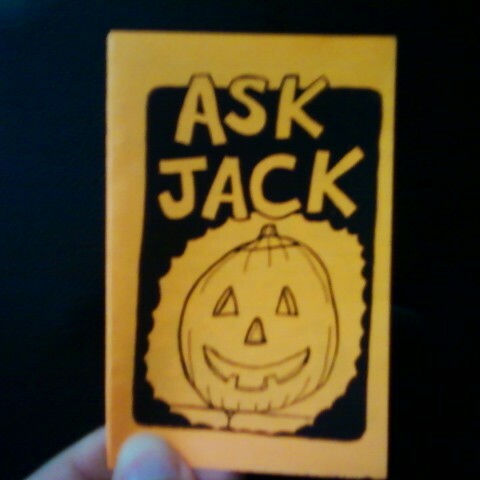 Get copies of “Ask Jack” formatted as a minicomic with puzzle to give to trick-or-treaters, Halloween party-goers, goblins, etc.! Buy packs of “Ask Jack” and other Halloween comics, or right-click & download the PDF of “Ask Jack” to print. 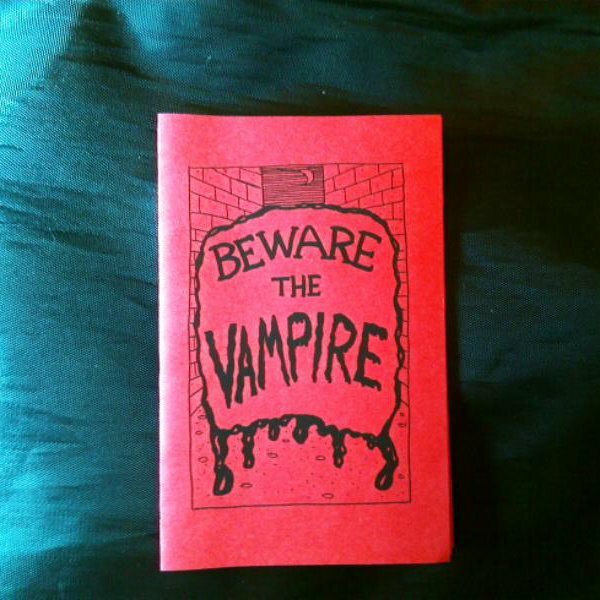 All I ask if you download is that you email or leave a comment to let me know you downloaded it and how many you printed & where they went (for example, “30 copies to trick-or-treaters in Putney, VT”). It’s easy! The PDF has 2 pages which should be printed as one double-sided sheet in “landscape” format, preferably on orange paper. There are 2 copies of the comic on the sheet, so cut the sheet in half (if using scissors instead of a papercutter, you may want to cut after folding). Fold the comic in half so you can’t see the covers, then on each side fold the edge next to the opening back to meet the edge with the fold, producing a little booklet with covers where you read the comic, then flip over & open the back for a puzzle! It should look like this. Put them under a heavy book for a while so they stay closed better. Here’s a quick flyer I made for Trees & Hills. When we get some more stuff worked out, I’ll draw up a little ‘Intro to T&H’ mini. Sorry for the crummy scan, but I just finally got the hang of scanning black & white properly, never mind color. A strip for Matthew Reidsma’s contest celebrating 600 strips of High Maintenance Machine in 19 months. Wow! Matt sets a fine example of what can be accomplished with dedication. My last entry for the Comic Rehab Ripoff – a day late, alas. I hemmed & hawed because I wanted to do a self-contained strip but had no ideas; then I got this idea but it went a little past what I had time to do yesterday. LAME, but that’s life sometimes. Yesterday was kind of an awkward day. Anyway, the Rehab Ripoff has been a great experience for me! Thanks to Dragon Green for initiating it, and to fellow Rehabbers Jen and Patrick. I wrote a little about the experience over at comics productivity blog Make Comics Forever! 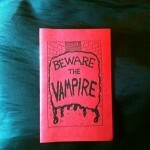 !, though as the first new post there in months I doubt it’ll be read much. 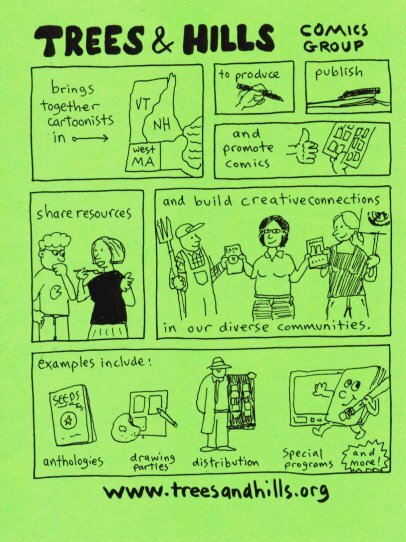 This comic appears in Square Dance #3. Wow, my end of the Comic Rehab Ripoff is off to a classy start. This comic appeared in the Candy or Medicine Free Comic Book Day 2008 Special. This redrawn version of a page from my second 24-hour comic appeared in Square Dance #2. An adaptation of a poem by Phavyanh Luekhamhan.